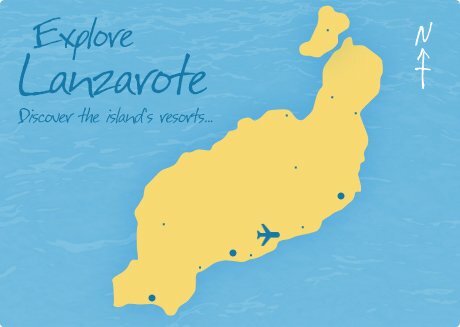 Lanzarote Guidebook first launched online in 2004 and has been providing tourists with independent and in-depth island information ever since. Lanzarote Guidebook is also available in print and is published every quarter, with copies distributed direct to tourists free of charge via our network of private villas, car hire offfices and tourist information offices. Jellyfish swarms have temporarily closed some beaches to swimmers in the south of the island…. Colourful Cuban hip hop combo Los Orishas close the carnival celebrations in Arrecife this coming Saturday, March 9th…. Our website offers holiday makers the chance to view Lanzarote villas, book flights, car hire and more in the most eastern of the seven Spanish owned Canary Islands. Located just 80 miles off the North West coast of Africa,this country creates a fantastic clement climate that is often likened to an eternal spring. There is little in the way of rainfall and plenty of sunshine all year round. View Lanzarote Hotels direct and book online. Around four hours flying time from the UK, the island is the closest genuine winter sun destination to home. It boasts the most amazing volcanic scenery, forged by six-year eruptions during the 1730´s,leaving about one quarter of the island submerged beneath a sea of solid lava. The island has plenty to offer, including great weather, almost 100 beaches and fantastic scenery.It is home to the many creations of the famous local artist and architect Cesar Manrique, who created six Centres of Art, Culture and Tourism which fuse the rugged landscapes with his own amazing creativity. Car Hire in Lanzarote means you can view these appealing features with ease. The three main tourist resorts are Costa Teguise, Playa Blanca and Puerto del Carmen, and there is a fast emerging ‘fourth resort’ of Puerto Calero, often referred to as the “Millionaires Marina”. Lanzarote is an ideal launch pad for island hopping, as both Fuerteventura and La Graciosa are only a short ferry ride away. Lanzarote Guidebook can be downloaded as a free, portable tourist guide and magazine, packed with the same in depth information, island news and high quality visuals as you´ll find online. You can search for holiday accommodation, book hotels, apartments and villas in Lanzarote directly online. If you are one of the many tourists who fall in love with the island, browse our Lanzarote property pages, which feature numerous properties across the island.